The Whistler Museum loves kids. Our exhibits feature tons of hands-on fun, from interactive natural history displays–where kids can compare real animal skulls, mineral specimens and more–to our official 2010 Olympic torch and uniforms that you’re encouraged to try out (take that you stodgy, old “look but don’t touch” museums). You should see the energy levels (or chaos, some would say) in this place when school groups come in. As part of our efforts to provide as much kid-specific programming as possible, Every Saturday in July we have been opening up the Museum for family-friendly craft activities. The fun started off with pioneer potato stamping. Inevitably, the kids’ creative designs ended up on more than just the paper we provided. 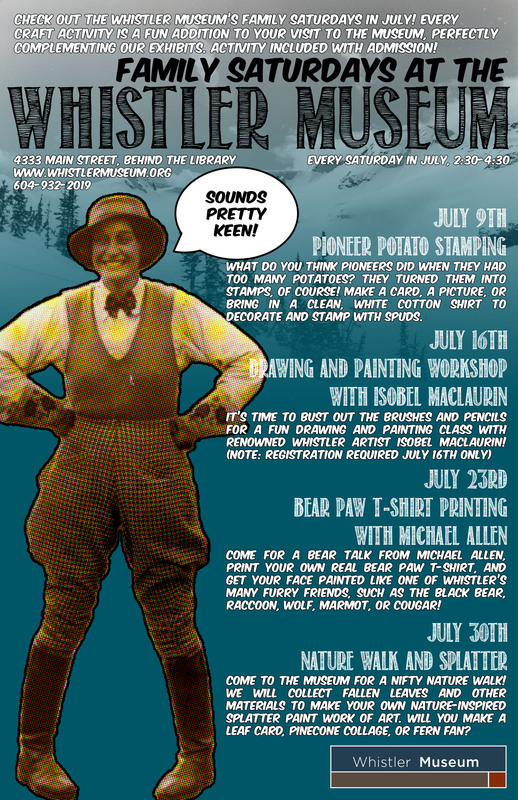 This might have been Whistler’s first locavore craft activity, as all the spuds were Pemberton-sourced. 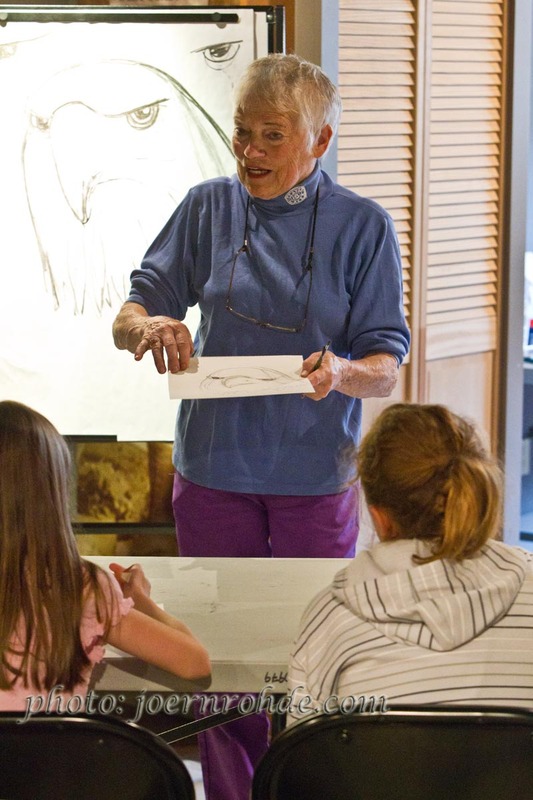 This past Saturday we welcomed talented artist, long-time Museum friend, and all-around awesome Whistler local Isobel MacLaurin as she offered a painting class for local and visiting youth. 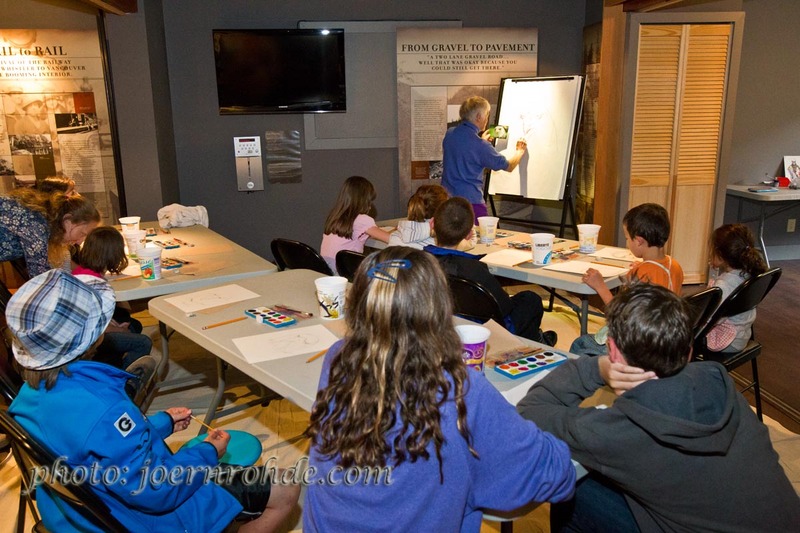 Using watercolours, the kids were taught in Izzy’s trademark landscape and wildlife techniques, creating beautiful mountain vistas and noble bald eagles. Class was in session. When Izzy's running the show, ears perk up. The kids were really receptive to Izzy’s instruction, and it showed in their work. The day ended with everyone feeling confident that the future of Whistler’s arts community was in good hands. Coming up next… This Saturday the museum welcomes local bear researcher Michael Allen to give an illuminating talk on our furry friends. There will be face painting to help kids get in character, and we will be making bearpaw-print t-shirts that the kids can take home. T-shirts provided, just bring your young ones! We round off our Family Saturdays on July 30th with a nature walk led by the Whistler Naturalists, where kids can collect the raw materials to inspire and compose their ecological artwork. 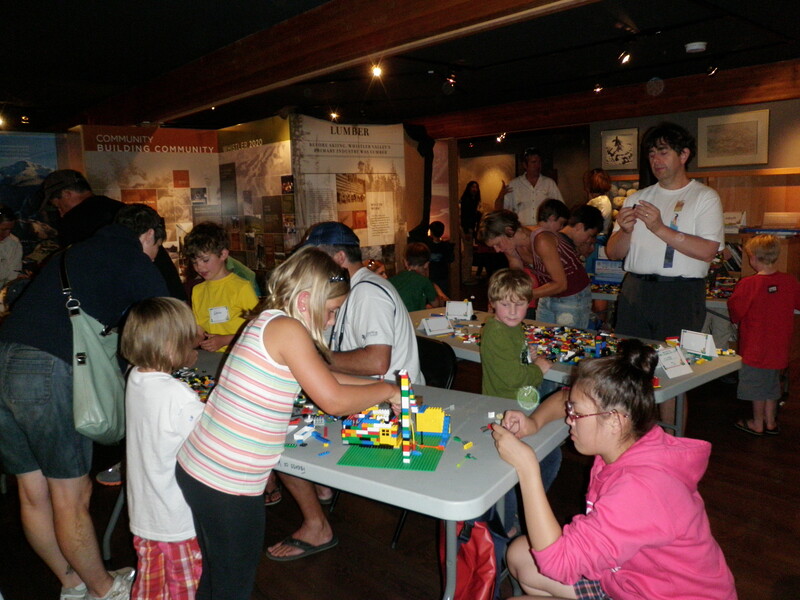 Finally, we’re currently gearing up for our annual LEGO-building contest, which we”ll be hosting August 20th. Believe it or not, the event is now in its 15th year! Stay tuned for more details and registration in the coming weeks! Everyone loves LEGO! (from last year's competition). This entry was posted in News & Events and tagged crafts, family, Kids, museum, painting, Whistler. Bookmark the permalink.